Hereditary spastic paraplegia (HSP) is a group of neurodegenerative disorders with a predominant lesion of the pyramidal tract. To date, mutations responsible for the disease have been identified in more than 70 genetic loci. The main causes of HSP development are mutations in the SPAST gene, but major mutations are rare for this disease. 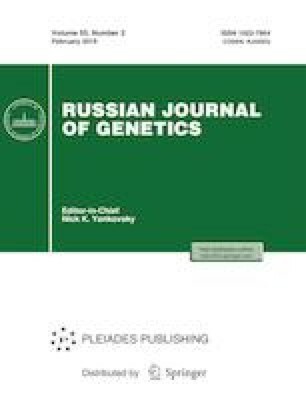 Study of HSP patients from 63 unrelated families from the Bashkortostan Republic (BR) identified the c.283delG (p.Ala95Profs*66) mutation in the SPAST gene in families of Tatar ethnicity with a high frequency. In the general cohort of unrelated patients from the Bashkortostan Republic, its frequency was 19%, and in the cohort of Tatar patients, it was 44%. HSP was found to be inherited in an autosomal dominant manner in all families with this mutation. The clinical symptoms of the disease in most of these families corresponded to the uncomplicated phenotype, typical of the SPG4 form of HSP. Statement of compliance with standards of research involving humans as subjects. All procedures performed in studies involving human participants were in accordance with the ethical standards of the institutional and/or national research committee and with the 1964 Helsinki Declaration and its later amendments or comparable ethical standards. The studies were approved by the Bioethics Committee of Institute of Biochemistry and Genetics, Ufa Federal Research Center, Russian Academy of Sciences. Informed consent was obtained from all individual participants involved in the study.